Robinson R22 helicopter weighing scale system makes weighing your R22, R44 or R66 easy to weigh. 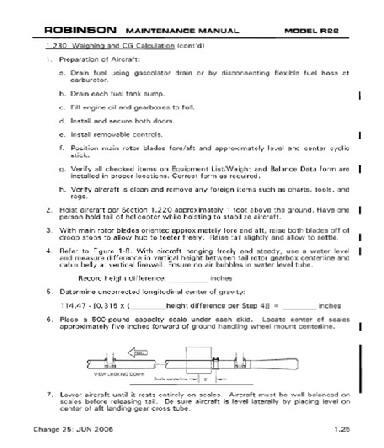 Robinson R22 weighing procedure to the left of the page calls for a platform capable of 500 lbs. 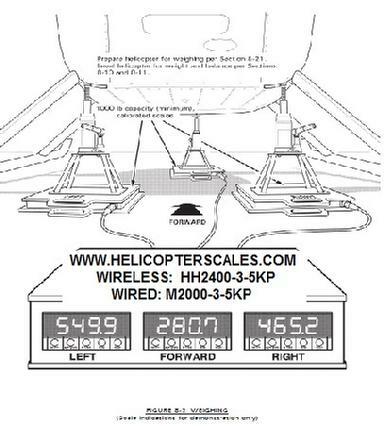 Our HH2400-3-5KP is fully capable in our wireless version @ $7495.00 Our scales are featured in the Robinson R66 manual as shown below. Basically the same aircraft scale can be used for all the Robinson line. 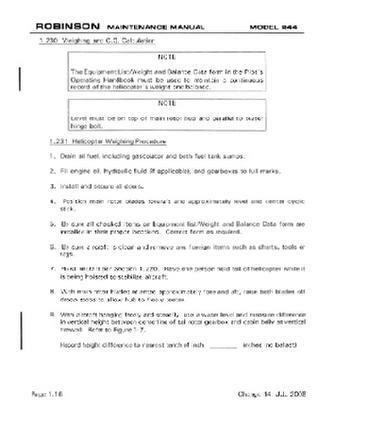 The procedures for each model is in the maintenance manuals and our scales are shown on the R66 pages. The platform scale shown by Robinson has been updated and is now available in wireless configuration. As with any of our manual pictures, always use the manufactures manual current copy as these are for example only. 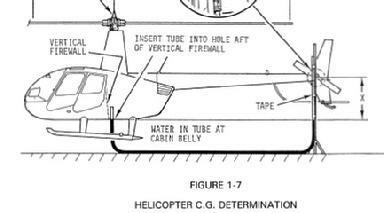 The picture to the left shows the Robinson page for weighing the R66 helicopters. As always, use the current procedure in your maintenance manuals, these pictures are for example use only. We offer our M2000-3-5KP (Robinson manual shows our older version) @ $7495.00 This aircraft scale weighing equipment can be used for helicopters or fixed wing aircraft.